The Town of Mt. Crested Butte approved its yearly budget for 2008 on first reading, following a public hearing on November 20, anticipating total revenues of $3,545,027 and approving $3,737,809 worth of expenses, including $15,000 in donations. It will consider the budget again on December 4. According to town manager Joe Fitzpatrick, 80 percent of the town’s sales tax revenue is earned between November and April; the amount of revenue the town receives is heavily dependent on the number of winter visitors to Crested Butte Mountain Resort. Although revenues are impossible to determine in advance, Fitzpatrick says the town is budgeting for sales tax revenues in 2008 similar to those seen in 2007, but it won’t be enough to cover the expenses of operating and maintaining the town. The town’s sales tax figures are approximately 10 percent lower than what would be expected if Club Med Resort had not been sold. Some relief is provided by property tax revenues, as property values in Mt. Crested Butte jumped from $80 million in 2006 to $148 million in 2007. According to Fitzpatrick, property taxes will bring in $727,000 of revenue from the town’s mil levy. While not as critical as sales or property tax to the town’s overall fiscal health, construction revenue is a big-ticket item for the budget, Fitzpatrick says. Mt. Crested Butte is expecting $95,000 in revenues from construction project impact fees and building permits in 2008. The town is predicting a revenue shortfall of approximately $192,000 during 2008 and will dip into reserves. Despite the predicted shortfall the town is budgeting $15,000 in donations. Fitzpatrick says it’s important for the town to continue giving donations because "There are certain organizations that provide things citizens in the community need that town isn’t able to provide." He says it can be a challenge giving donations when there are everyday things in the community that could use funding, like road maintenance. The town dropped its allotment of donations from $20,000 last year to $15,000, but during the meeting Mt. Crested Butte mayor Chris Morgan noted that several items formerly found under the donations section of the town’s budget are now separate line items in the budget. Fitzpatrick says these items aren’t truly donations because they are recurring items that the town is responsible for every year. A $2,500 line item for the Fourth of July fireworks and $3,000 to the Crested Butte Nordic Center for grooming the town’s recreation path are now both found under the Parks and Recreation Department budget. Mt. Crested Butte also has a $10,000 line item for the Crested Butte Music Festival, which is considered a marketing expense and comes out of the town’s admissions tax, a tax placed on ticket sales at the resort. This year the town added the caveat that if more than five music festival events are held in the Town of Mt. Crested Butte, the town will support the music festival with $1,000 for each additional event that is held in town. Under the actual donations category of the budget, $500 is being given to the county’s restorative justice program and $1,000 for the Literacy Action Program with the proviso that at least two literacy programs are held in town. Paradise Animal Welfare Society (P.A.W.S.) will get $500 for their new facility. During the meeting Morgan asked if it would be possible to channel funds from the town’s dog fines to the P.A.W.S. facility. Trujillo said the town gets about $400 a year in fines. Fitzpatrick said, "It’s a good idea to channel funds, especially for the long-term operation (of the facility)." The town is giving $750 to the county’s legal aid program. The town attorney Rod Landwehr said, "It’s a good program that provides legal advice for low-income families." 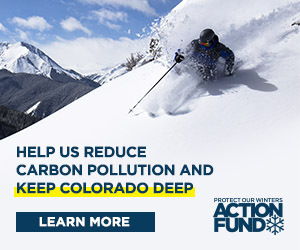 Crested Butte Search and Rescue will receive $2,500; the Adaptive Sports Center will receive $1,000; and the Office for Resource Efficiency (ORE) will receive $2,000. The Crested Butte Avalanche Center will receive $500. Council member Danny D’Aquila said, " I used their service every day last winter. It’s invaluable, it’s accurate and they’ve got a very good crew." The Mt. Crested Butte Town Council will make its final approval of the 2008 budget during a second reading on December 4, but there is no public hearing.